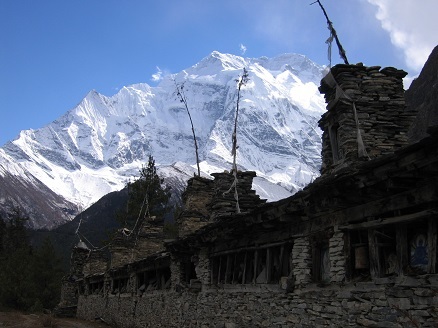 During the Annapurna Circuit trek, trekkers have an opportunity to explore the wonderful views of the southern and northern Himalayas and the beautiful Nepali hills and world higest mountains, including Mt. 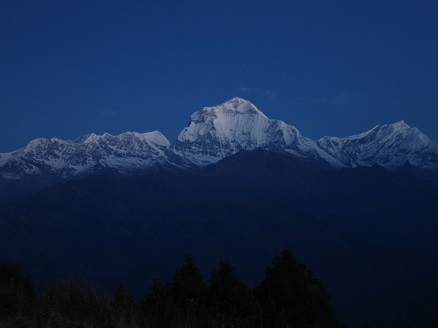 Dhaulagiri (8167 m), Mt. Annapurna I (8091 m) Mt. 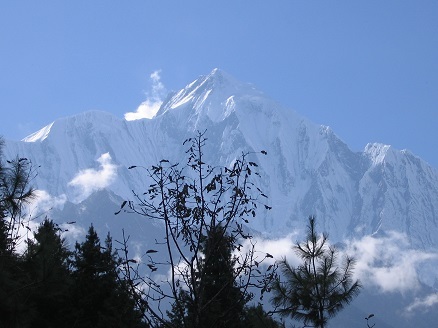 Manaslu (8163 m), Mt. 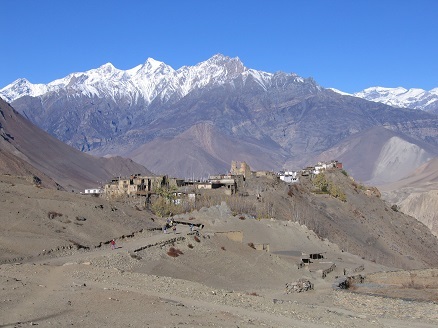 Annapurna II (7937 m.), Mt. 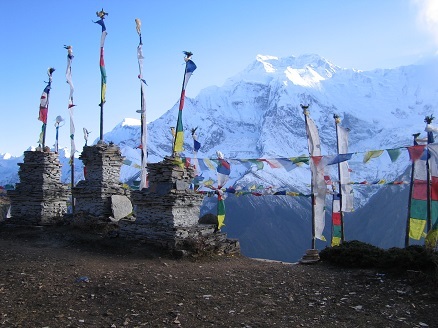 Annapurna III (7555 m), Mt. Annapurna IV (7525 m), Mt. Annapurna South (7219 m), Mt. Nilgiri (7041 m), Mt. Fishtail also called Mt. 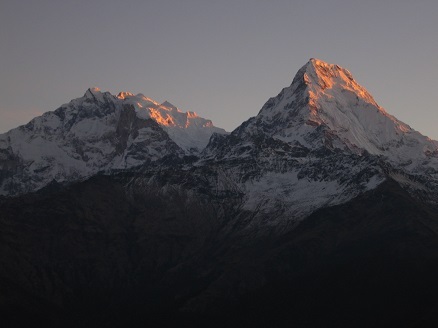 Machhapuchhare (6998 m), Mt. Hiunchuli (6441 m), Mt. 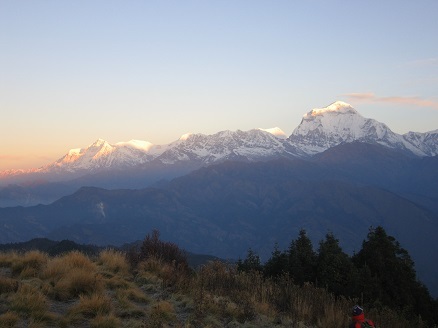 Lamjung Himal (6986 m), Tukuche peak (6920 m), and Tilicho peak (7134 m). 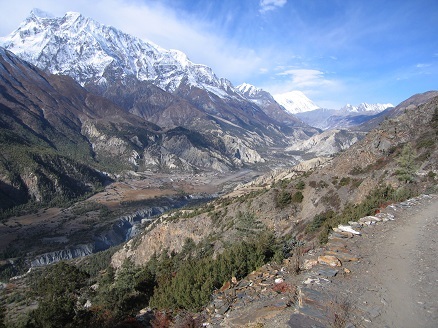 The highest point of the Annapurna Circuit trek is the Thorong La Pass at 5416 m. We will also walk through the world's deepest gorge, Kali Gandaki, with Annapurna I to the east and Dhaulagiri to the west. 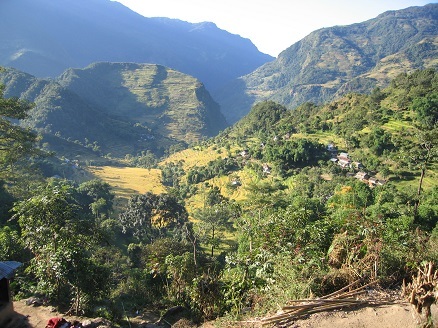 The length of the Annapurna Circuit trek can vary depending on where you start and end the trek, as well as whether you take transportation on the road during part of the trek. You can also take a side trek to visit Tilicho lake. It is the world's highest lake situated at an altitude of 4919m. 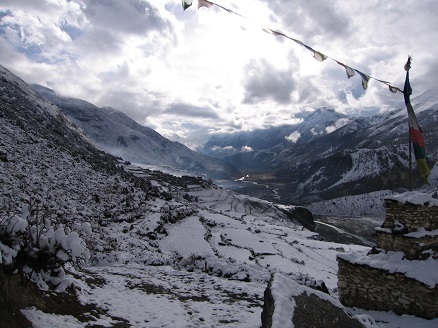 Please find below our proposed 15 Days Annapurna Circuit Tilicho Lake trekking itinerary. This itinerary is flexible and can be customized based on your requirements. Please contact us for the price and quotation. Day 1: Arrival in Kathmandu. Upon arrival, TT4FT representative will officially meet and greet you at Tribhuvan International Airport and transfer you to your hotel. Overnight in hotel. 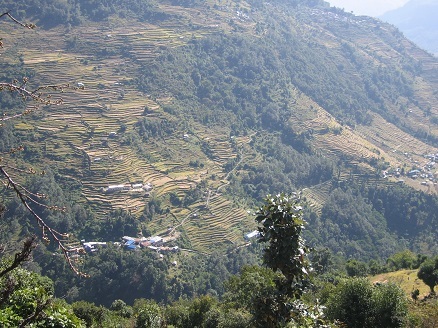 Day 2: Take a bus or jeep from Kathmandu to Besi Shahar, Syange OR Chame (2620 m) 8-9 hours. Overnight in guest house (B,L,D). 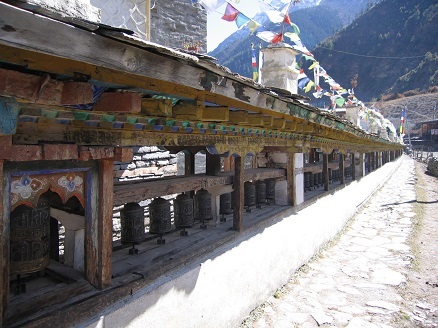 Day 3: Chame to Pisang (3190 m) walking 4-5 hours. Overnight in guest house (B,L,D). 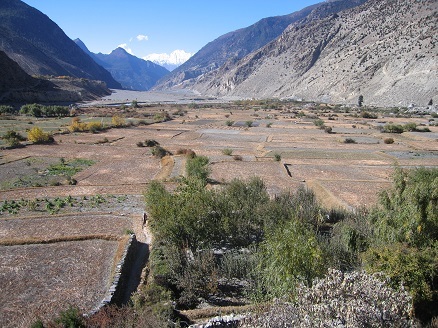 Day 4: Pisang to Manang (3500 m) walking 3-4 hours. Overnight in guest house (B,L,D). Day 5: Acclimatization day in Manang. Overnight in guest house (B,L,D). Day 7: Khangsar to Tilicho Lake (5366 m) walking 5-6 hours. Overnight in guest house (B,L,D). Day 8: Hike to Tilicho Lake (5200 m). Explore around the world's highest lake and enjoy the breathtaking scenery, then back to Tilicho Base Camp. Walking 5-6 hours. Overnight at hotel (B,L,D). 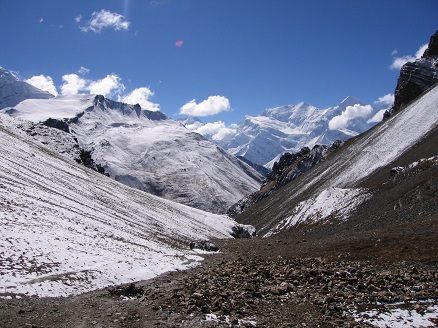 Day 9: Tilicho Base Camp to Yak Kharka (4018 m) walking 4-5 hour. Overnight at hotel (B,L,D). 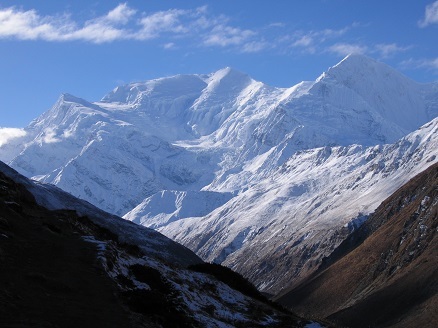 Day 10: Yak Kharka to High camp (4920 m) walking 4-5 hours. Overnight in guest house (B,L,D). 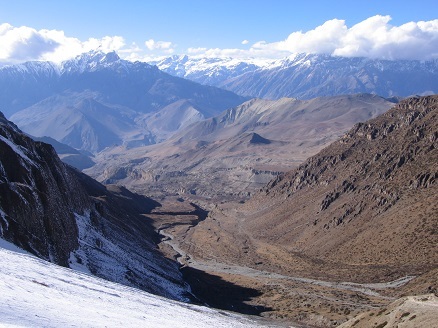 Day 11: High camp to Muktinath via Thorong La Pass (5416 m), walking 7-8 hours. Overnight in guest house (B,L,D). Day 12: Muktinath to Jomsom (2710 m) walking 5-6 hours. Overnight in guest house (B,L,D). 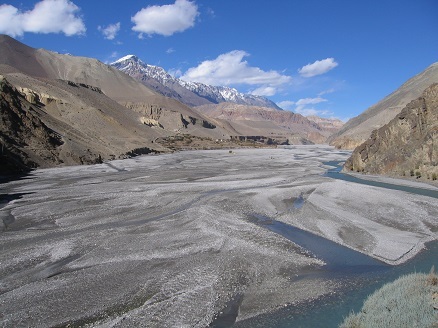 Day 13: Jomsom to Pokhara by flight 30 minutes or by bus 15 hours. Overnight in guest house (B,L,D). 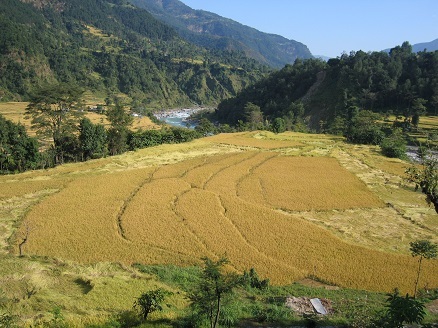 Day 14: Pokhara to Kathmandu by flight 30 minutes or by tourist bus (5-6 hours). Day 15: Final day of the trip. We bid you farewell as our representative transfers you from your hotel to Tribhuvan International Airport for your departure from the beautiful Himalayan country. We hope to welcome you back soon for your next adventure in Nepal.